Dark ruby red, with an olfactory profile characterised by impressive integrity: notes of red berries enhanced by a light floral trace and a clearly spicy vein open up the way to a rare balance which is pleasant and lingering. Fresh, balanced, characterised by a tannic structure which is as tight as it is delicate, closing with a very persistent finish on the palate. Ideal with mature cheeses and red meat dishes. Excellent with roast pork. 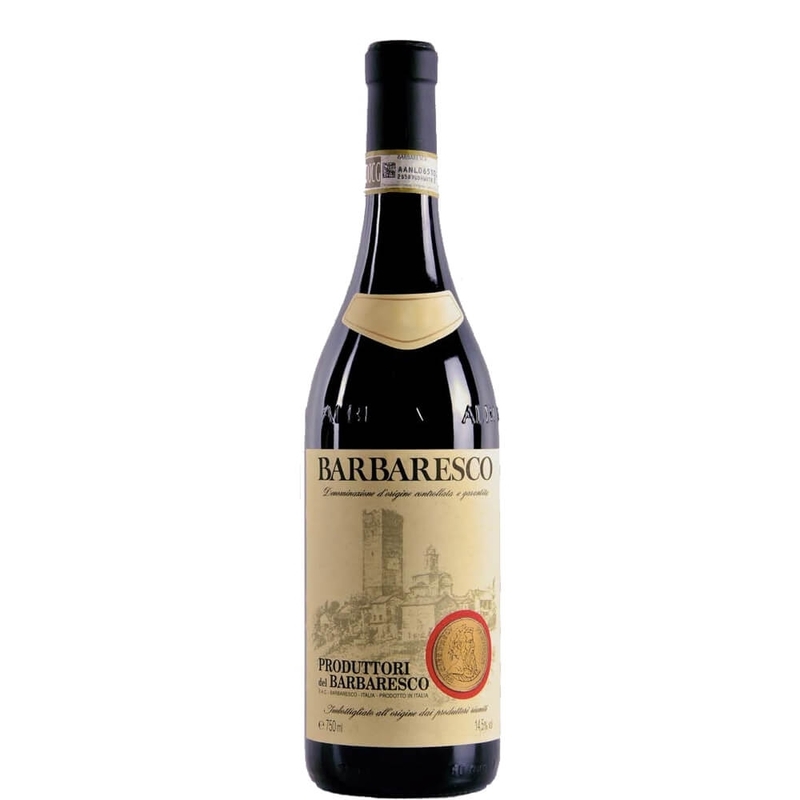 The Barbaresco DOCG made by Produttori del Barbaresco is uncomplicated, just like its name. This particular vintage reveals a very warm September in the glass, embodied in the maturity of the aromas. This wine's class lies in its smoothness in the mouth, intense without being excessive, full and potent, especially in the finish.